AJC.com is reporting that, a month after the disputed election, West African leaders delivered an ultimatum to Laurent Gbagbo in person Tuesday after threatening a military ouster if he doesn't accept an offer to go into exile in a neighboring country. 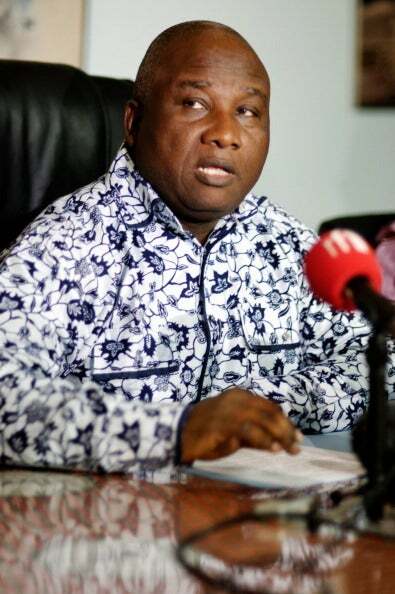 The delegation was led by presidents from Sierra Leone, Cape Verde and Benin, who refused to comment to reporters after a three-hour meeting with Gbagbo. Gbagbo, who has been in office for 10 years, refuses to hand over power to the rightful winner of the election, Alassane Ouattara. While Ouattara has been endorsed by most of the world, Gbagbo maintains control of Ivory Coast's military and security forces. The 15-nation regional bloc ECOWAS has threatened to use "legitimate force" if Gbagbo does not relinquish power. Nigeria has the strongest army in the region and is expected to play a major role if an operation is launched to oust Gbagbo. When a man who has been in office for 10 years threatens civil war over an election he lost, someone has to do something. We hope this last appeal will work. Otherwise, violence is certain, and that won't help anybody.